I'm sorry, I find I need to say that again: STOO-OO-PID. Actually, it's more of a question: just how stupid could he be? I am sure we'll cover some aspect of this scandal in the coming days, but if you've been on a spiritual retreat, or disengaged from the news for some reason and have no idea what I am talking about, NY Governor Eliot Spitzer, former Attorney General with a crime fighting Elliot Ness-like reputation -- elected in a landslide just over a year ago -- has been connected to a prostitution ring just busted up by the feds. 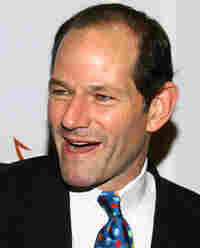 It does appear that, as "Client 9," Spitzer had at least one paid encounter with at least one woman. The story broke yesterday afternoon, but I don't think this compromises anything (to be real about it), does it? Might as well put it out there. 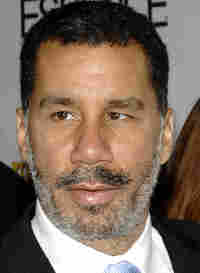 New York might get its first African American Governor, David Paterson, who is currently the Lieutenant Governor of New York. Paterson, former Minority Leader of the State Senate, also has an amazing back story -- he is legally blind from infancy and a grad of top college and law schools. Also, he's made some really interesting career moves. Paterson gave up his seat in the state senate to become lieutenant governor. There also might be more to say about risk-taking behavior. Remember, Detroit Mayor Kwame Kilpatrick is in hot water because of his sexual affair with his chief of staff, which they both appear to have lied about under oath. The affair was revealed in thousands of text messages exchanged between the two on city pagers. Or, maybe we'll decide we have nothing to add to what you might already be hearing on NPR's All Things Considered or Morning Edition, in which case, we'll pass. Now that we've gotten that out of the way, I am going to immerse myself in loftier matters and finish Madeleine Albright's book Memo to the President Elect. We plan to bring you a conversation with the former Secretary of State tomorrow. Hey! Maybe Albright should add an epilogue. Memo to the Current Governors/Future Presidents: Stay Away from Prostitutes, No Matter how Expensive They Are ... You Can't Afford it No Way.